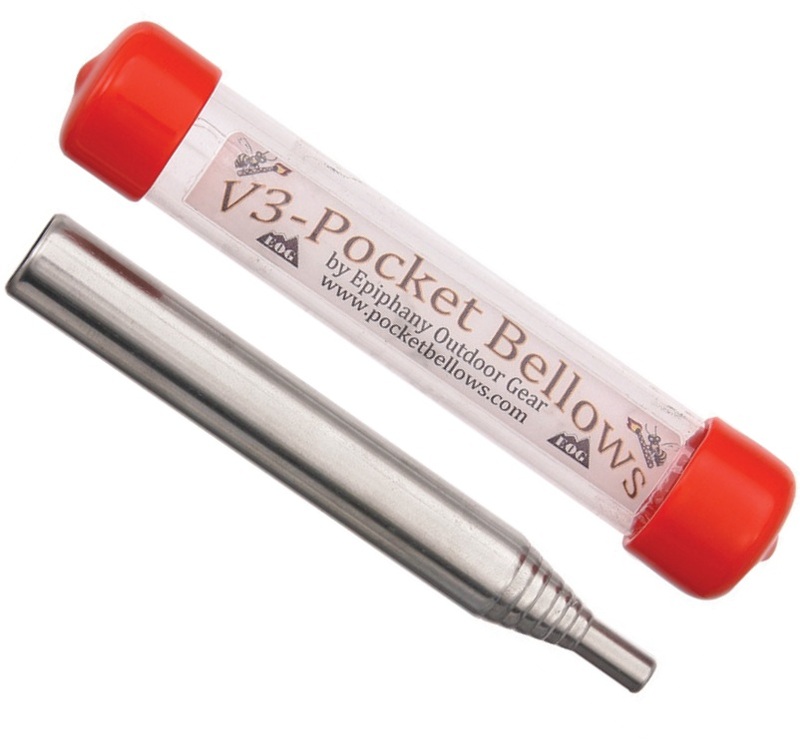 V3-Pocket Bellows Collapsible Fire Bellowing Tool is great idea. 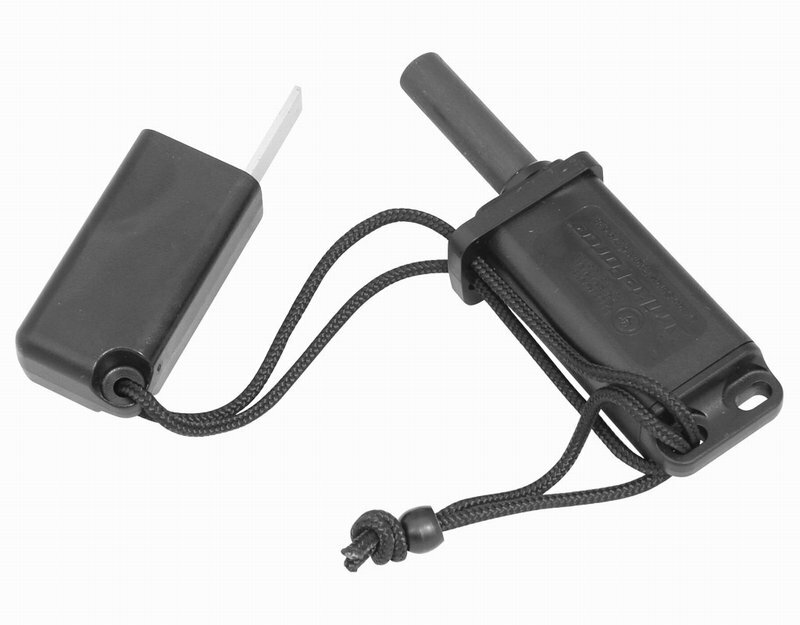 I thought it was just a gimmick to begin with as the best bellows are your lungs but if you have ever put a huge amount of effort into fire lighting only to put your hot, sweaty face practically into the ember? You know it, a lung full of smoke causing a wracking cough distracting you from your task and maybe even for good measure you put the ember out with your own perspiration!!! 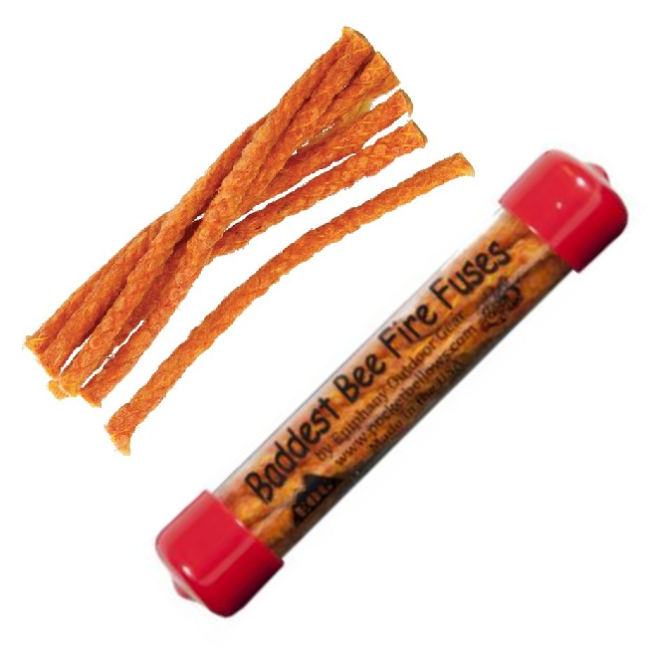 The fire bellows extends to Extends to 20" and essentially gives you a metal straw that allow you to compress and focus oxygen where you really need it. 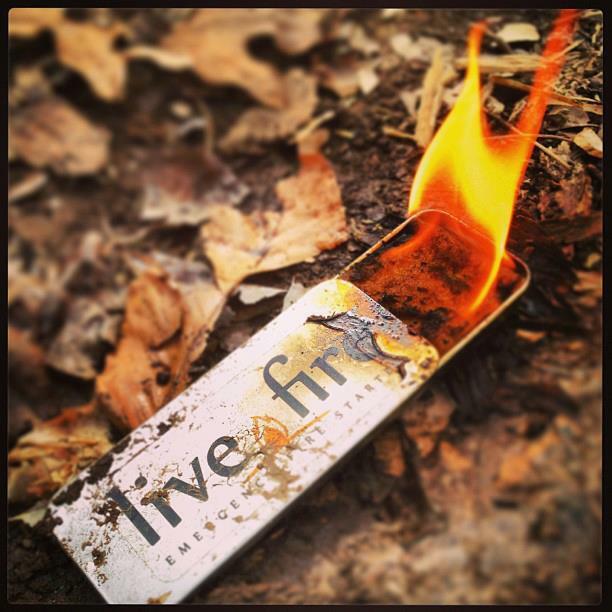 Adding oxygen to an ember or dieing fire is key to get it going making the fire bellows an invaluable asset. 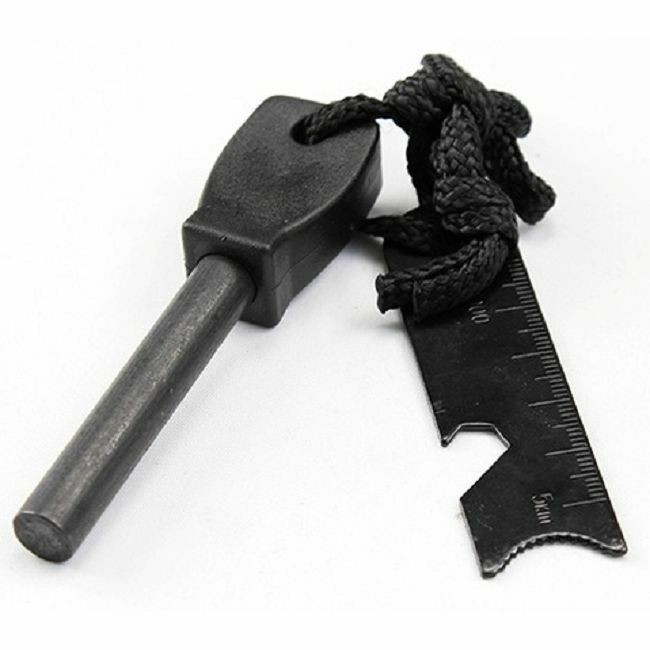 It collapses to 3 1/2" and weighs less than 1 ounce so it really is an ideal addition to any firelighting kit.